Our boutique collection has been selected from our overall barge fleet as barges which offer a “certain something” which sets them apart – a unique style, decor, design or amenities that you will not find on any other barge. This is not a category that implies standard – our boutique barges may be First Class, Deluxe or Ultra-Deluxe – but possess a certain “je ne sais quoi” that in our opinion, has earned them a place in this category! 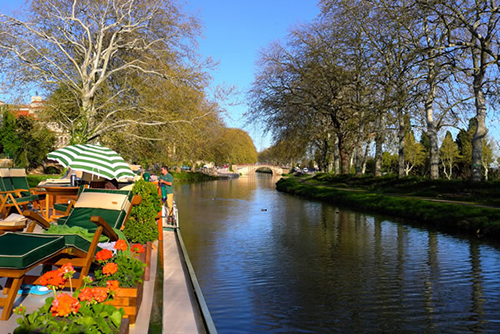 This gorgeous luxury barge on the Burgundy Canal offers the most personalised service on the waterway and exclusive “invitation only” experiences. Magnificent Cordon Bleu cuisine and exceptionally experienced and friendly crew.